Gowanus Open Studios • October 15th + 16th! I'm excited to be participating in the Gowanus Open Studios this weekend, at the studio of my friend/photographer/master printer at Brooklyn Editions, Stephen Gross. Saturday and Sunday, October 15th and 16th, from 12-6 pm at 251 19th Street, Suite 1D, Brooklyn, NY. Cocktail reception on Saturday from 5-8 pm. Come say hello! 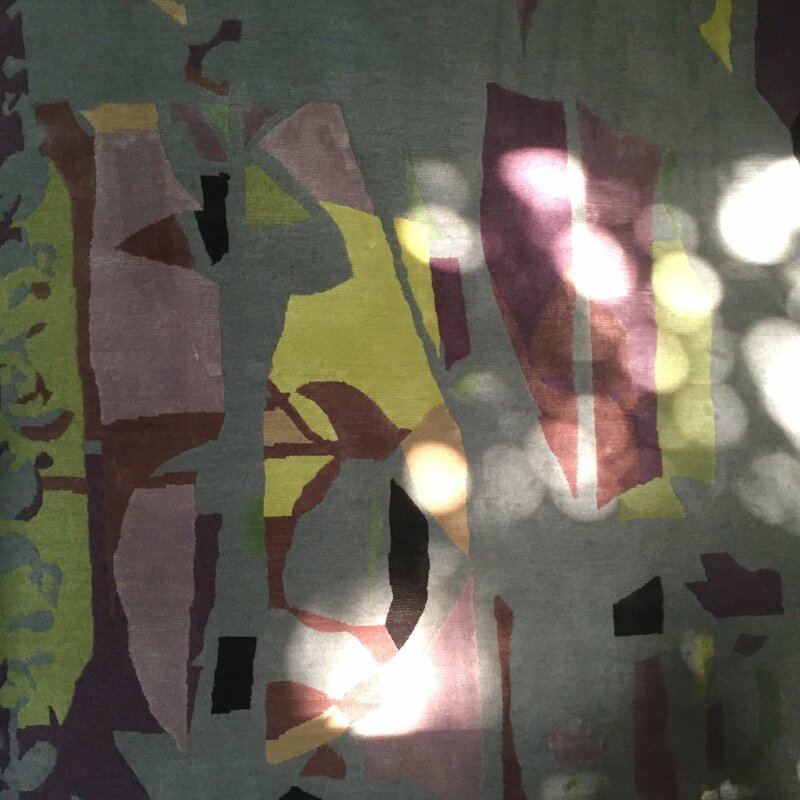 Looking forward to showing for the first time at the New York International Carpet Show from September 11-13 here in NYC. I will be among illustrious rug world company and good friends. Please stop by and say hello if you're in town It's at The Tunnel, 271 11th Avenue. Hope to see you! Topanga Canyon flora and Point Dume rock. Trying always to develop low tech daily creative practice. Lately I have been using string, ink and watercolor on handmade paper to make tiny drawings. These measure 3" x 4" and 4" x 6". Read about my recent trip to Nepal and visit to Hamro Ghar, the GoodWeave transit school and home in Kathmandu.